I think I have always struggled with my weight after puberty. I danced through 5th grade and eventually quit to take up a hobby in music and singing, and the lack of structured physical activity likely attributed itself to my weight issues. In college the mix of poor diet, not being regularly active and parties with alcohol and junk food brought me to an all time high of 264.2 pounds. I was a musical theater student in college and often found myself embarrassed by my size at auditions. My size would leave me fatigued even walking up the shortest incline of a hill to my college classes. Dance classes were fatiguing too. In those years I was extremely self concious about my size. Dating wasn’t even in the question. I enjoyed spending time with friends and rarely stayed away from social events, but put myself into a bubble of being the funny fat sidekick friend rather than ever being more than that. I went to an audition after graduating college and did not get cast or even called back for a second audition. I love to perform and was young and fresh with my college degree and it broke me that the only reason I couldn’t pursue what I loved was my size. I began researching healthier meals and portion control. I began writing down everything that I ate. I understood and worked to incorporate things that were good for me like my 5 a day, lean proteins and water. I joined a gym and began to do some cardio on the elliptical or in fitness classes to get started. I don’t remember how much weight I was down, maybe 10 pounds or so and was wearing a new pair of jeans when my coworker came up to me and said she could notice! 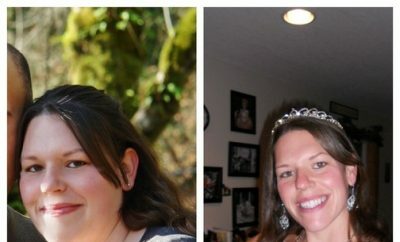 I have PCOS and struggled to understand what was good for me to eat. It was really hard to adjust to cooking all my own meals after being someone who ate takeout day in and day out. I have gone up and down as the years have gone by and I’ve been working toward my goal weight. Life happens! I overcome plateaus and frustrations by continuing to put one foot in front of the other because it’s about progress not perfection. Because I was so heavy I lost fairly quickly In the beginning of my journey. I’ve run two marathons and now I get cast in lots of musicals! I ate a lot of restaurant meals in big and hearty portions. I ate a lot of sweets, soda and fried food. I was an emotional eater. I don’t think I ever really ate vegetables. I ate multiple servings of food. I have always enjoyed working out since I first started. When I was heavier it was harder to be active. I did a lot of group exercise classes because I needed structure and instruction. 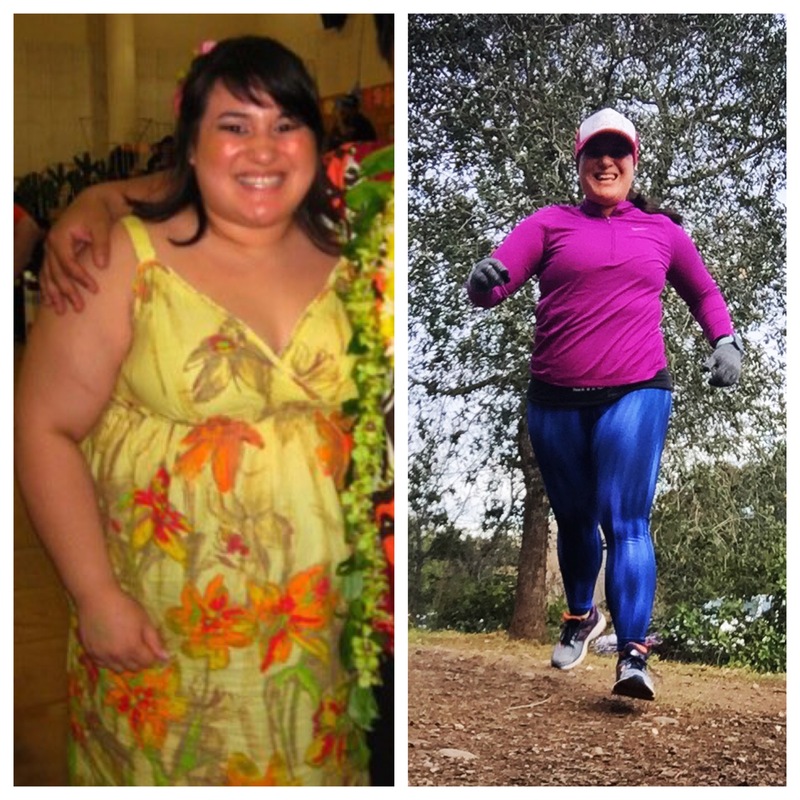 I started out attending cycle classes and Zumba classes. Now, I still enjoy classes on occasion but am into long distance running. I’ve run two marathons and multiple other short distance races! Calendar your workouts with yourself! Indulge in REAL treats (not fake substitute versions) every once in a while. Drink water! Do whatever it takes to drink enough. Calendar reminders, rubber bands around your water bottle, carry a gallon with you. Whatever it takes! When you want to give up, stop and think about where you will be if you quit on yourself. Are you willing to be in that scenario? If not, push forward through the struggle. 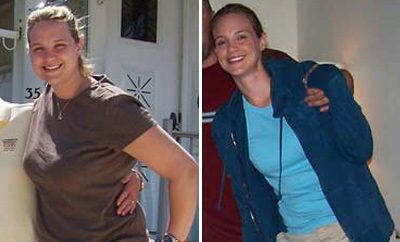 Next Story → Weight Loss Before and After: Mother And Daughter Team, Kathy And Emily Lose 53 Pounds Each! 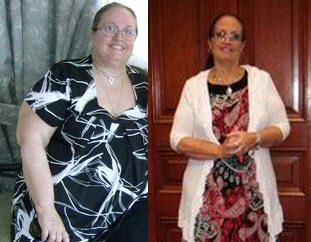 Restored Health in 2012 – I’m going to make the REST of my life, the BEST of my life!! !